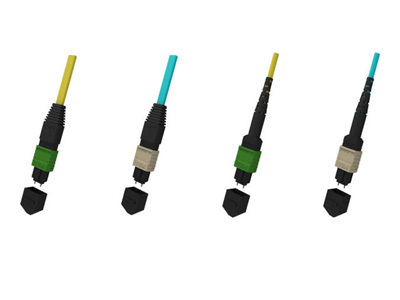 All fiber optic connector are imported from Senko & USConec. 8F, 12F & 24F option. Ribbon and round micro-breakout cable available. 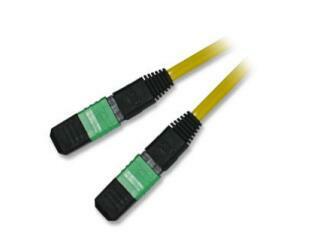 Support custom design MTP/MPO fiber optic patch cable assemblies. The singlemode or multimode MPO patch cord available from Aminite are multifiber connections used in high-density backplane and Printed Circuit Board (PCB) applications in data and telecommunications systems. The MPO fiber patch cable connector offers up to 12 times the density of standard connectors, providing significant space and cost savings. MPO fiber connectors utilize precision molded MT ferrules, with metal guide pins and precise housing dimensions to ensure fiber alignment when mating. 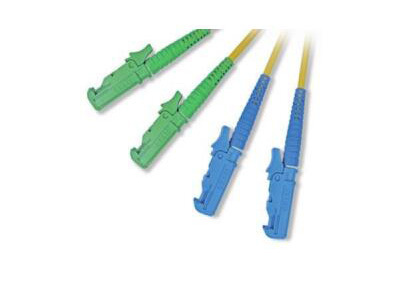 The MPO patch cable can be mass terminated in combinations of 4, 8, or 12 fiber ribbon cables. MTP patch cord is with the MTP fiber connectors which are upgrade version of the former MPO. MTP is with better mechanical and optic fiber performance compared with MPO. 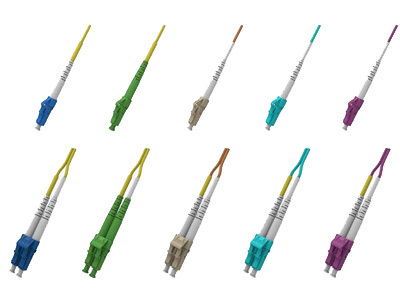 Both the MTP and MPO series cables are multi fiber connectors. There are many fiber optic channels in each single connector. 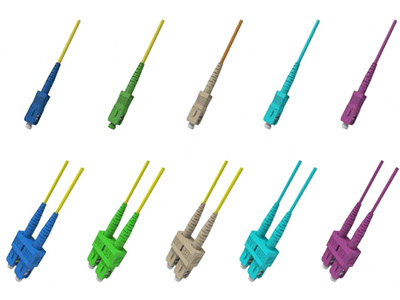 Because of such multi fiber feature, these connectors need to use with multi fiber cables, especially the ribbon multi fiber optic cables. MTP fiber optic patch cables are available by single mode and multimode types. There are UPC MTP fiber cable and APC MTP fiber cable. We supply both MTP to MTP patch cable and MTP cable 1XN assemblies like one MTP connector at the one side of the cable, on the other side of the cable; it is breakout structure with 8 LC connectors. MTP fiber optic mating sleeves and MTP fiber optic adapters are also available.